Today is my first day of actual story brainstorming (a combination of plotting, doodling, and talking to myself) on The Emerald Sun. 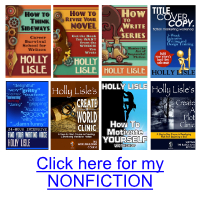 Because, as I frequently did during my commercial career, I planned the series to run long — in this case, seven books — and because I have to finish the series now with Book 3, I find myself once again rethinking where I wanted to go with the story, and digging through the core principles of what I’d already built, and how these worked. 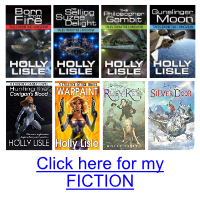 How can some kids, a Cat, and a dragon save a dying world adults have lost the will to save? I’m trying to find my way through. I have the ending I’m NOT going to write (what I call “the ending to beat”). I have my Octopus Map, which sets out the obstacles in my path. Now it’s a case of plotting out a path to follow (or again in my case, to beat as I go). So excited!if you were to publish this as a longer series or make more stories set in this world (for example about the lost civilization because that was fascinating) I would totally read them. I read these books when I was in middle school! I checked back in on them ever since. So excited to see where the series goes. The Silver Door was one of my favorites. Yay! I have a big chunk of the Line For Scene outline done. You go Holly. You inspire tons of people. You turn good writing into GREAT writing. I read The Ruby Key to my daughter about a year ago, and we loved it! It will become available. I can’t swear on “soon.” Becky is doing the cover art for me, and I still have to do the formatting and bug hunting, and I want to publish the first two about a month apart from the brand new third one. So — not until I get the third one written. I can do the revision, formatting, and bug-hunt in a couple months, so that won’t cause much delay. But I want to bring them out at a pace that might allow them to pick up some traction to a broader readership than the Scholastic editions received.